Hayley Atwell's Got a New Job, But What About Agent Carter? Hayley Atwell’s been cast as the lead in ABC’s Conviction. Which is great for her, but does make us wonder if this means that Agent Carter is done after its second season. Conviction has Atwell playing Carter Morrison, a “brilliant but rebellious daughter of a former president” who is blackmailed into working for Los Angeles’ Conviction Integrity Unit. Which is a group of lawyers investigating cases in which an innocent person may have been wrongfully convicted. So, like the Innocence Project but government funded. There was some panicking last year when it was announced that Dominic Cooper (Howard Stark) was joining Preacher, but he was more of a featured guest star whose schedule could be worked around. This seems to be a bigger indication that Agent Carter is in danger. According to Variety, Atwell’s schedule will accommodate both shows if Agent Carter is renewed. 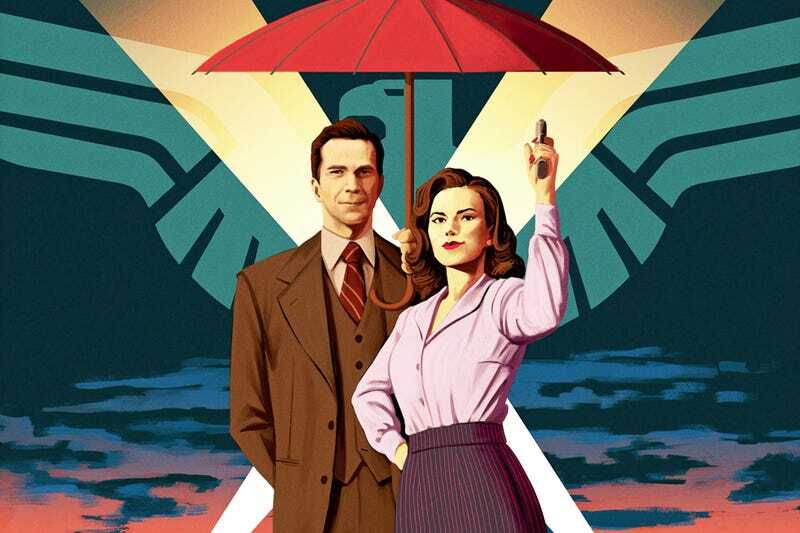 Agent Carter’s ratings place it after the franchise juggernauts of NCIS: New Orleans and Chicago Med, and beating Brooklyn Nine-Nine and iZombie. Who knows if that’s enough to keep it alive? We can only hope.